Several years ago I used to run a monthly advanced ringing practice at Saxlingham. Unfortunately, it stopped, probably because of my increasing work pressures. 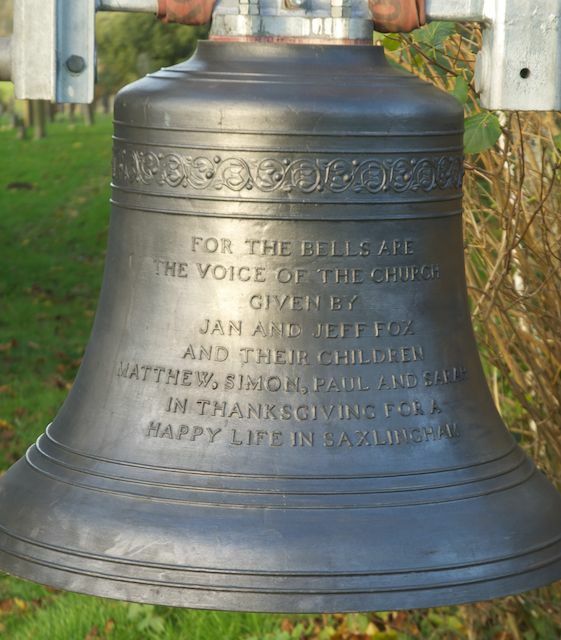 We set it up to ring what are called “Surprise Major” methods – these are methods which we ring on eight bells and are more difficult to ring than the ones we usually manage at Saxlingham. The practices attracted some of the more advanced ringers from the South Norfolk area. 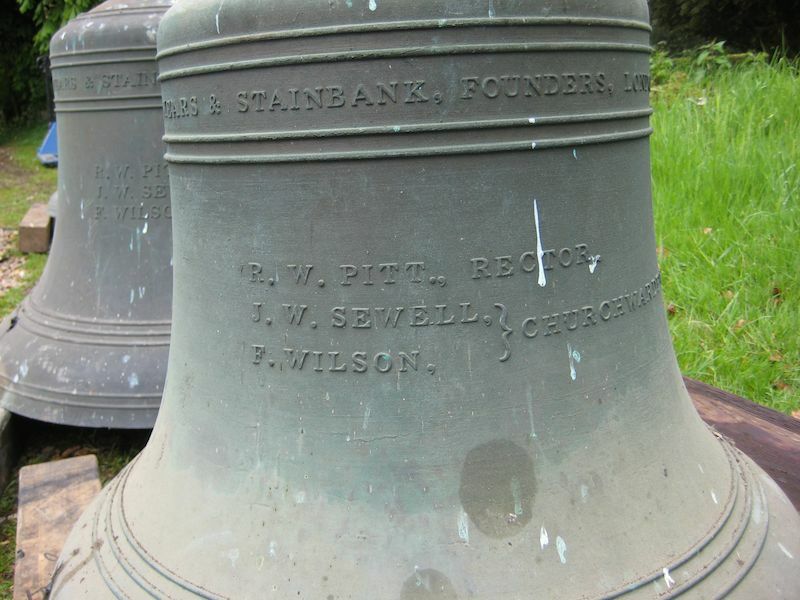 Now that we have the new bells at Saxlingham, one or two people have asked me if we might re-start it. Having investigated the likely response, I have found that enough people are interested to make it viable, and the first practice will be held on Thursday October 9th from 1930 hrs to 2100 hrs. The purpose of the practice is twofold; firstly it is to create an opportunity for those who can ring surprise major to do so. Secondly, it is to give the opportunity to those who want to learn to ring surprise major, but have not yet done so, to have a go in a friendly and learning environment. We will start by trying to ring one of the easier basic methods called Cambridge Surprise Major. If successful, we hope to hold the practice on a roughly monthly basis. It will be on a weekday evening, but because of my somewhat nomadic lifestyle, it may not be possible to hold it on the same day or the same week every month. The 2014 St. Mary’s Saxlingham Nethergate Flower Festival is underway. The Festival is open from 10.30 am to 4.30 pm from Saturday 2nd August until Sunday 10th August. The theme of the festival is The Great War and features beautiful and thoughtful displays highlighting various aspects of the war including the trenches, the home front, nursing and the role of women, the “Christmas Truce” and finally Peace. We are very grateful to Mrs Carolyn Rush and the flower arrangers for giving us space to put up our (non-flower) display. We have notice boards with photographs of all the items local people have lent us ranging from cards home from the front to medals. We have also laid out biographies of the 16 men from the village who died – please feel free to read about the lives of these young men. We would like to thank Mrs Jan Fox and the late Mrs Janet Capon for all their work looking at the lives of the men who are remembered on the two war memorials in the village. Dr. Jeff Fox has made a film of the visits they made to find the graves and memorials – this film is available to be watched in the Church Room. Please find all of Jan and Janet’s work on the Saxlingham War Memorials website. Everyone should do his bit. We shall post more photographs of the flower arrangements after the festival. 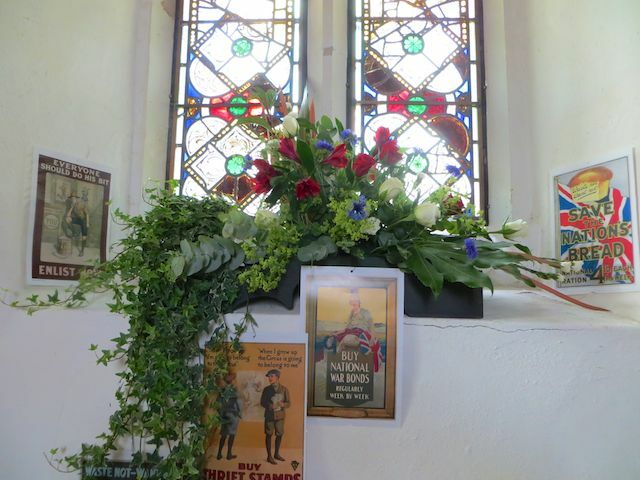 This year’s flower festival which will run during Open Churches’ Week will be commemorating those who served in The Great War. If you have any information about any member of your family who served in World War One, whether they have ties to Saxlingham or not, we would love to hear from you so we can tell their story. Please email info @ saxlinghambells.org.uk (remove the spaces) or contact Lynn Roberts using the details given in June’s Contact. 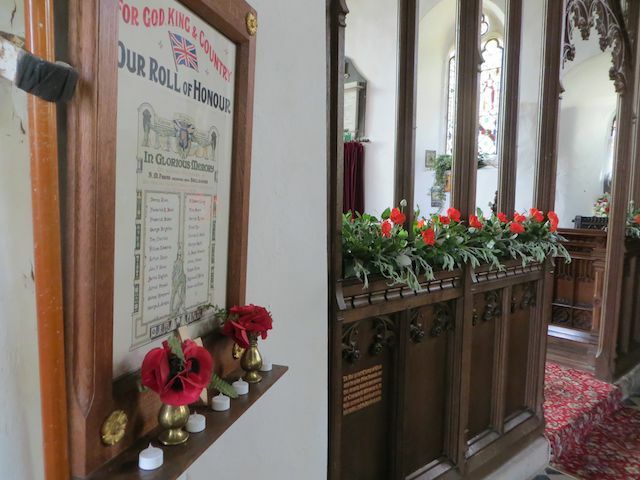 After the flower festival we will be looking to collect information about those who have served in more recent conflicts starting with The Second World War. Please let us know if you have any information you would like to share with us. 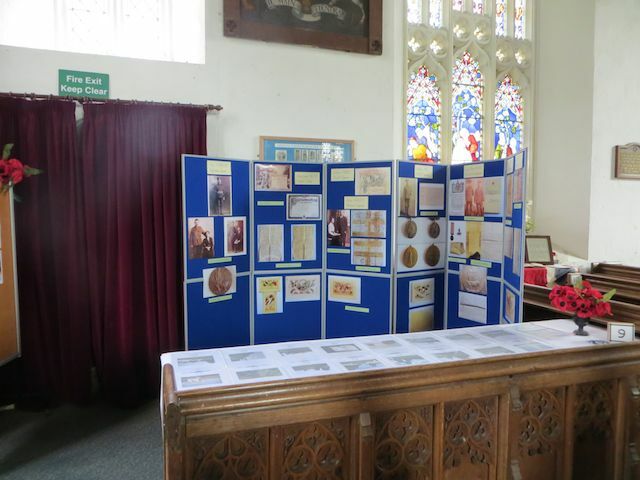 If you visit Long Stratton Library they currently have a display about Saxlingham Nethergate including the bells and the stained glass of the church. Part of the display is taken from Jan Fox’s website, Saxlingham War Memorials, which is well worth a look. Also on display is a history of the village from the 1950s and a tithe map. We understand the display will be up for the next week or so – please do pop in and have a look and support our local library. 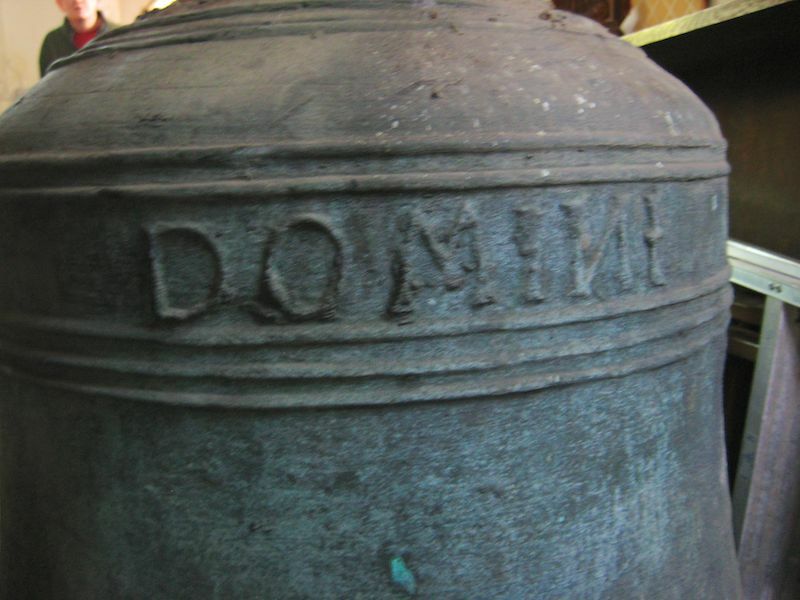 Do you want to know more about the bells? Do you want to learn to ring? 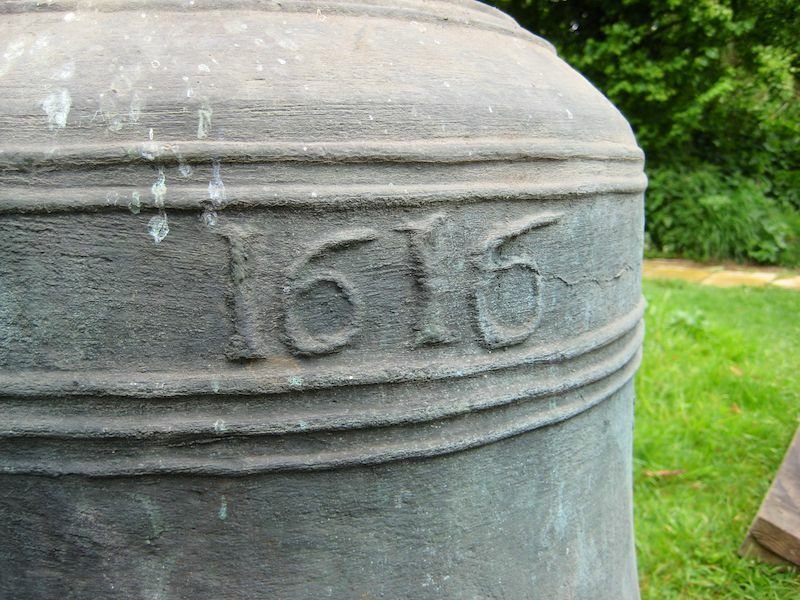 Bells have been ringing from Saxlingham Church tower since at least 1455. 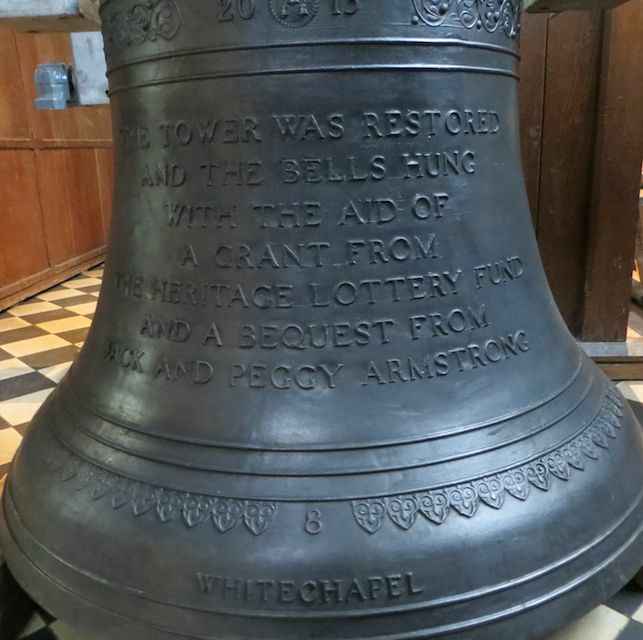 At the end of last year the old ring of eight was, with the help of a generous grant from the Heritage Lottery Fund, replaced by a lovely new ring of bells. 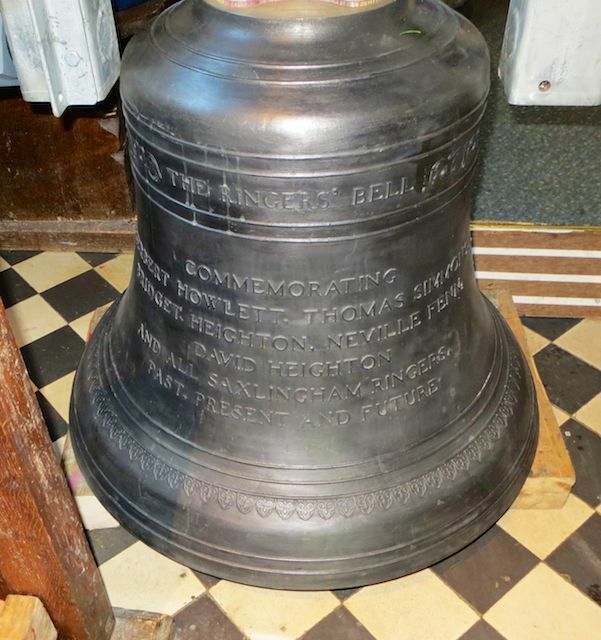 Our reason for doing this was to preserve the heritage of bells being rung in Saxlingham. 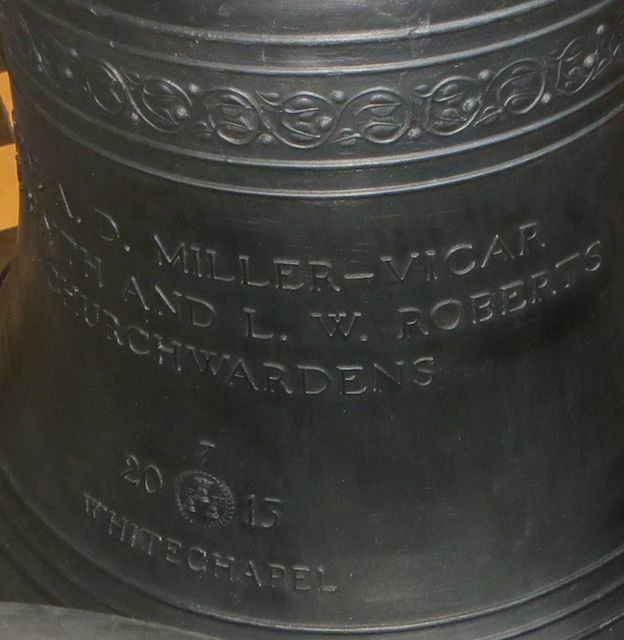 Not only do the bells sound so much better than the old ones, they are very much easier to ring. The old ones had become very hard to ring, and it was no longer easy to teach new ringers on them. We can do this on the new ring, and, moreover, we can teach youngsters to ring them. By doing this, we will be able to preserve the ringing tradition in the village. Anyone from 8 to 80 could learn to ring a bell! 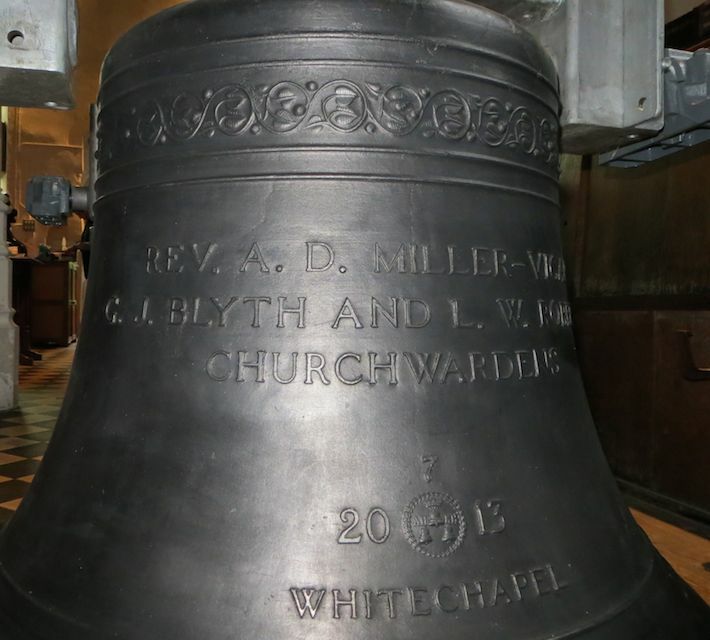 On Saturday July 12th between 2pm and 4pm we will be holding an open afternoon, so that anyone who wishes can come along and see (and hear) the bells, and may-be have a go at ringing one. Anyone and everyone will be welcome. Go on, give it a try. You always wanted to, didn’t you? On Saturday 17th May the annual meeting of the Southern Branch of the Norwich Diocesan Association of Ringers took place. 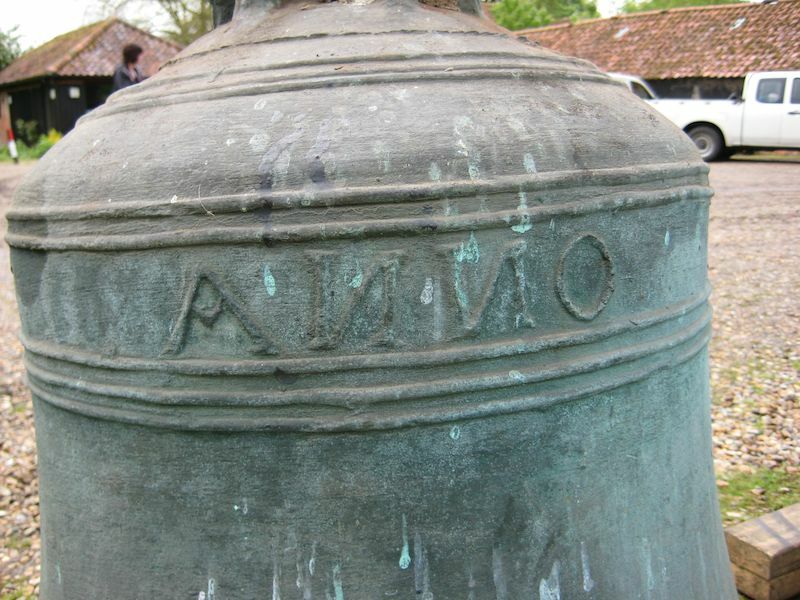 As Saxlingham had a new ring of eight, they asked if they could hold this meeting at Saxlingham and include ringing the new bells and a service in the church. Saxlingham were very pleased to host this event. Approximately 30 people (including half a dozen children) visited the church during the afternoon. The majority of these were not regular ringers at Saxlingham. Not everybody was able to stay for the whole afternoon, but everyone had a chance to ring the new bells at some point. A core of about 24 people (including 3 children) stayed for the whole event including ringing, a service in the church, refreshments in the church room and the Branch Meeting. 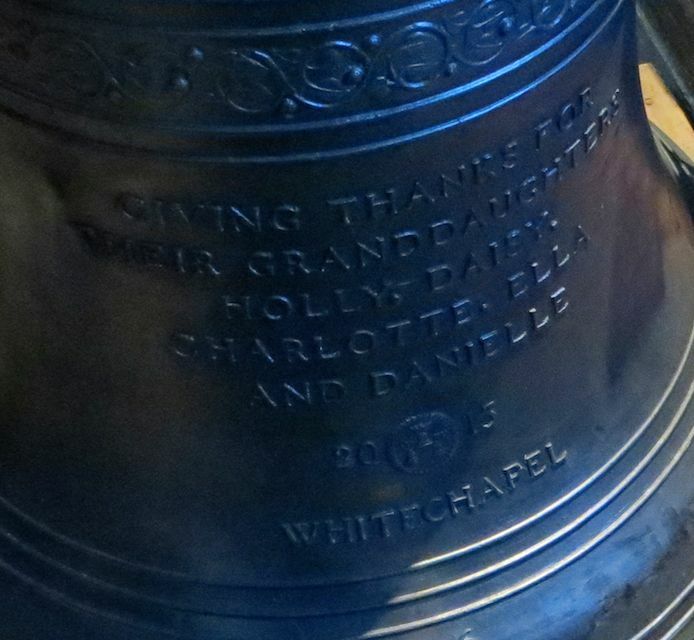 The ringers were loud in their praises of the new bells and made comments to this effect in the visitors book. 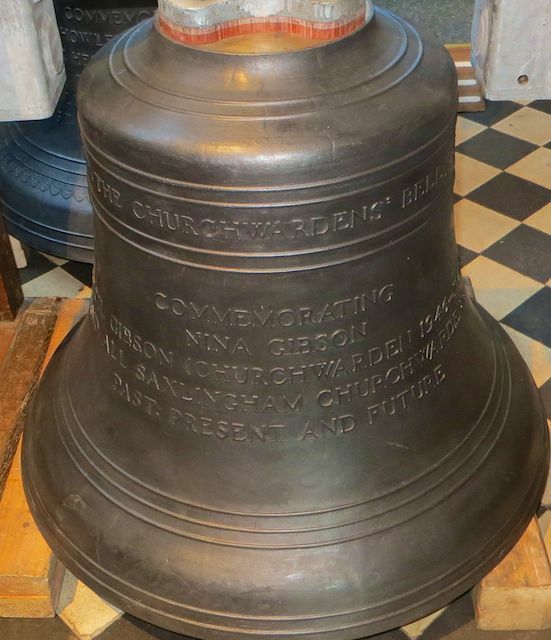 A number of people wished to return to ring the bells for longer on a future occasion. Practices and peals by guest ringers are in planning. We hope to welcome all these ringers back soon. Visit to the Archive Centre. On 21 March, seventeen people who had attended the Genealogy Workshops visited the Norfolk County Archive Centre at County Hall. Kären, who was to be our guide, welcomed us and described the Archive Centre. She spoke about the work of the Search Room, the Store Room and the Conservation Studio. We started in the Search Room where several members of the public were working – the extra large tables were for those who wished to examine one of the many maps held by the Archive Centre. There was a series of files where searches for particular items could be made manually. Microfiche readers and computers were also available for use. Normally requested documents are produced within thirty minutes. Kären stressed that nothing had been lost when the old Archive Centre in the Norwich City Library was destroyed by fire on 1st August 1994. Some items were damaged by water but after being freeze-dried all were eventually restored. The Archive holds millions of documents filling nearly ten miles of shelves. We visited the Store Room and heard from Kären that, although they are not about to run out of space, they are looking to increase the total amount of shelf space to ensure that there will be sufficient room in the years to come. We then visited the Conservation Studio where Nick explained the work which was done there. He showed us photographs of the Aylsham Town Charters which have been worked on for the past eighteen months after having been discovered in a Church before being moved to a Library. They had not been well stored so much work had to be done to unroll them and to make as much of them as possible readable. Kären had arranged for several documents to be available for us to see; these included a tithe map of Saxlingham, a marriage register from the Parish Church, several faculties for work in the Church and Peal (Bell-ringing) cards. There were two letters from Lord Nelson – one written with his right hand and one written with his left hand. There was also a wonderful scrapbook of her activities made by Mrs. Zigomala; she discontinued the scrapbook after the death of her only child John at the end of the First World War in 1919 in Russia. It was a fascinating afternoon and our thanks go to Elizabeth who organised the trip for us and to Kären and Nick who guided us round the Archive and explained so much to us.